The Pugsley sure got a lot of looks when it first came out, and rightfully so. 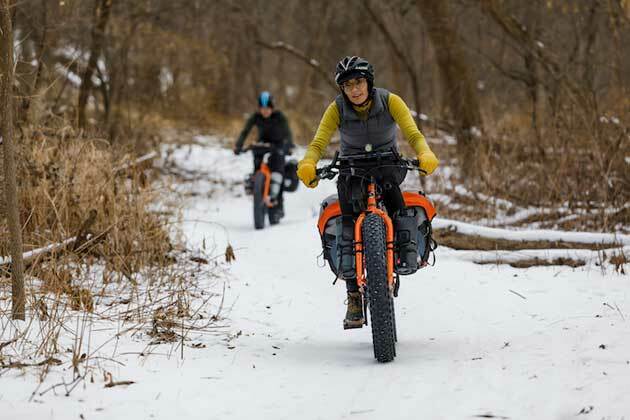 Prior to 2004, fat tire bikes were custom-made frames for a fringe group that was experimenting with pushing the limits of winter and other extreme terrain riding. They used to catch a lot of attention, and still do. 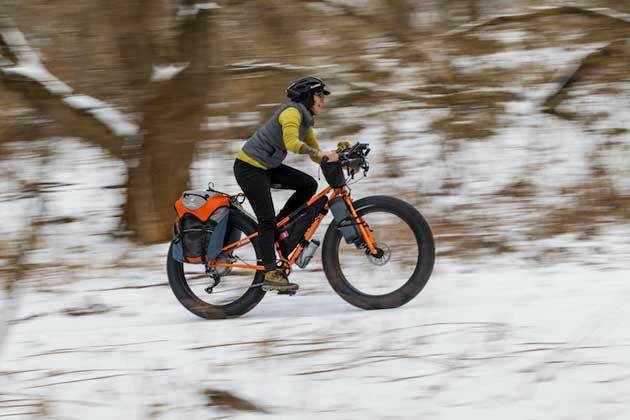 In fact, a couple weeks ago, a rather dentally challenged but curious woman at the corner store asked me if I “feel any bumps with them tires.” We don’t get those questions quite as often anymore thanks to the development and more mainstream adoption of the fat bike. Nowadays, you’ll find hubs, tires and carbon frames specifically tailored to fat tire racing and new standards to match. Sometimes I wish it could go back to the “simplicity” of that original offset frame and fork that allowed you to use normal mountain bike components and have a bailout option if the going got really rough. I’m happy and honored to let you know that the Pugsley is back in a forward-facing nod to the original production fat bike. The original Pugsley was released nearly 14 years ago. Let’s just pause and think about that for a minute. In an industry that seems to release a new hub standard every year, 14 years is a long time. I’ve been riding a single speed white Pugsley for a long time and love it, but there was room to improve and change fit and handling geometry. As we reimagined what the Pugsley could be, we wanted to move it more into the off-road touring realm since the Ice Cream Truck and Wednesday already occupy more of the trail realm. We wanted to make a platform that could be used as the ultimate off-road escape vehicle. To that end, the first thing we did was redesign the dropouts (more on that later). The Pugsley kept the 17.5mm rear end offset and we decided to go back to the offset fork as stock. 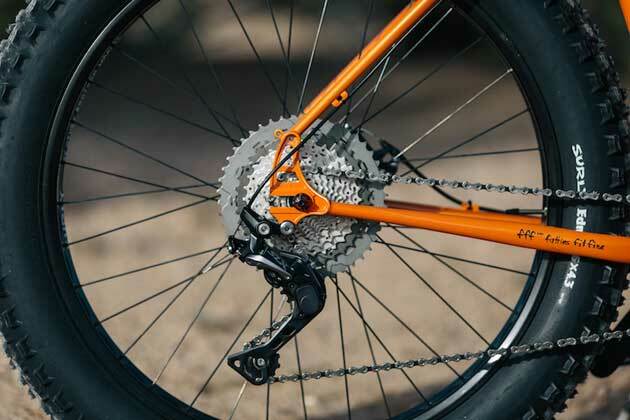 This allows the rider to use a 135mm spaced, offset wheel on the front with a single speed cog, to be swapped in the case of catastrophic drivetrain issues or frozen hub bodies. Finally, we made some geometry updates that help with carrying larger loads and maintain a similar fit geometry with a slightly larger tire. The main problem with an offset rear end when talking about touring is the difficulty in setting up racks. This was one key issue that we addressed with the new Pugsley dropout. 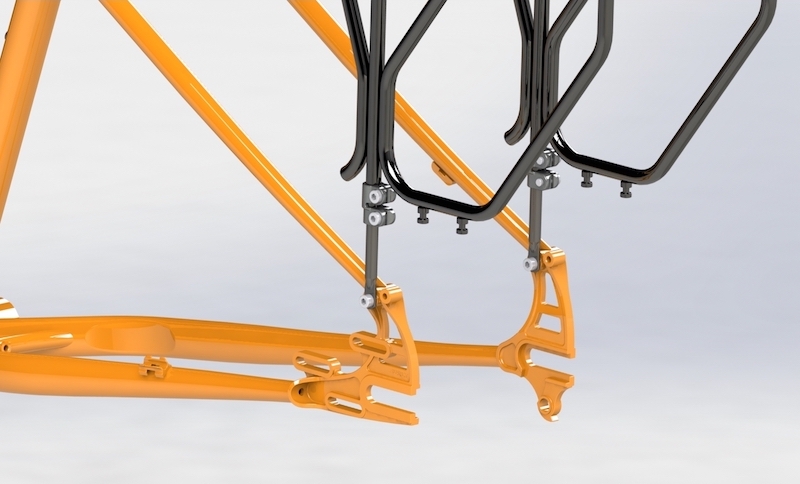 The dropouts have rack and fender mounts that are biased back to the center of the frame which allows centered rack mounting and a balanced load. You use the inside mount of the DS dropout and the outside of the NDS dropout. 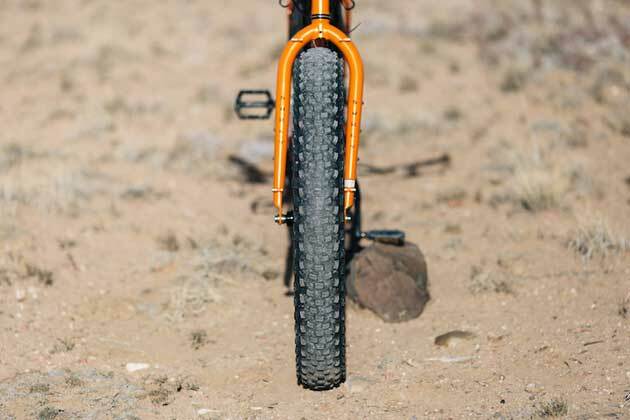 The new dropout resembles the Troll dropout and keeps the dedicated Rohloff OEM 2 axle plate compatibility and fender and rack mount options that are common on our off-road touring models. The dropout will handle a 10mm x 135mm hub by using our adapter washers, or a 12mm x 142mm thru axle hub. The rear spacing is not “Gnot Boost” and will only accommodate 135 and 142mm spaced hubs. The rear brake is limited to a 160mm rotor and requires the use of our custom Surly IS adapter to get proper brake set up throughout the range of the dropout. The rear triangle was completely redesigned for larger tire clearance, in doing so we also made the bends a little more subtle. The frame was designed around our new 26 x 4.3” Edna and has clearance for them with racks and fenders. The new bike comes stock with a Race Face crank with the ring flipped and a 1x11 drivetrain. This allowed us to keep a 100mm bottom bracket shell and still fit a larger tire. 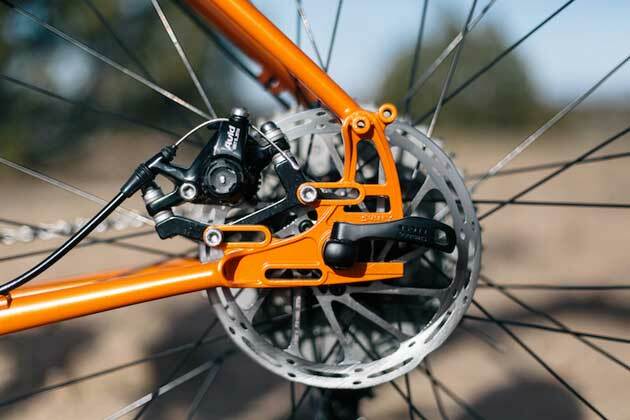 There is still clearance for a double crank, but you may need to size down on tires to make sure there isn’t any chain rub in your lowest gears. We also designed the frame to clear a 4.8” tire on an 80mm rim. 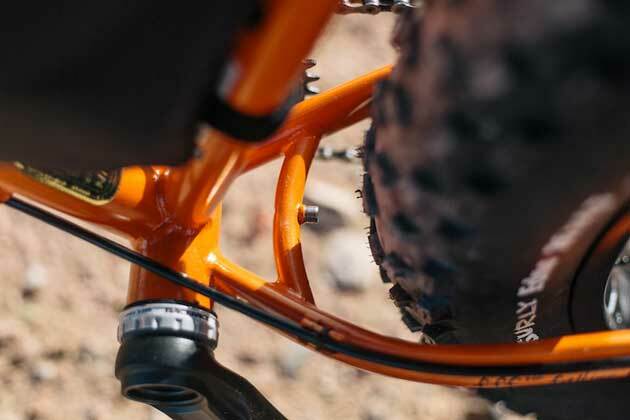 Depending on the tire and rim combo, this will require using larger q-factor cranks (like those found on a Moonlander or ICT) and will require you to pull your wheel back halfway in the dropout (12.5mm). In order to run 4.8” tires on the front, a centered Moonlander fork is needed. 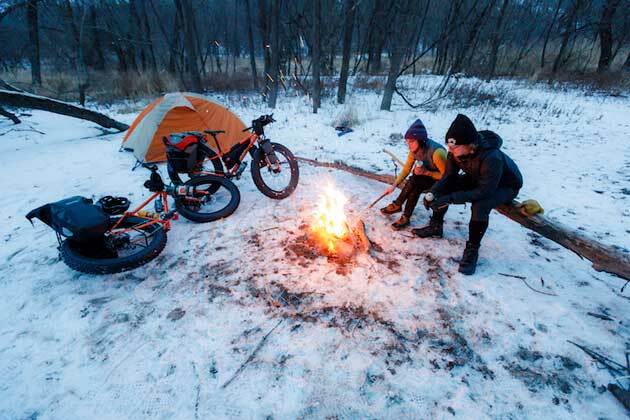 This extra tire clearance allows you to experiment and set up your ideal off-road touring bike. Sorry, but no. The Pugsley is designed around a non-suspension corrected fork. Plus, you would lose the wheel swapability that the stock fork provides. In similar fashion to the rest of our off-road touring line, the Pugsley will come with our multi-position Moloko bars. A Race Face Aeffect crank, 80mm Other Brother Darryl’s, a 1x11 SLX rear derailleur, 4.3” Surly Edna’s, and BB7’s round out the drivetrain and cockpit. Yes! But with a little bit of work. Both the OBD rims and Ednas are tubeless ready but you will need to set the rims up to be tubeless. Lucky for you, our tubeless kit is perfect to use for this setup. The frame features Three-Pack mounts on the top and underside of the downtube. The SM-XL includes another standard bottle mount on the seat tube. Full-length housing guides allow you to keep your cables clean wherever you end up exploring and no matter what way you set up your bike. The fork includes upper barrel bosses and a Three-Pack mount on each fork leg. We made some tweaks to the geometry to make the bike better suited for carrying a load but in practice, the ride remains lively and fun unloaded as well. The chainstays were lengthened 12mm for better heel clearance when using panniers and winter boots and to provide additional stability when loaded. The BB drop was increased to counteract the larger outer diameter Edna tires; however, the BB height remains nearly the same as the old Pug. If you decide to run Nates or other 4” tires you will only pay a 10mm penalty in BB height and will still have plenty of ground clearance. The stack was increased to better match our other updated off-road touring models and to promote a better riding position for long days in the saddle. Headtube angles were slackened out 1 degree to 69.5. We eliminated the jump tube brace and shortened the seat tubes to maintain appropriate standover with the increased tire OD. 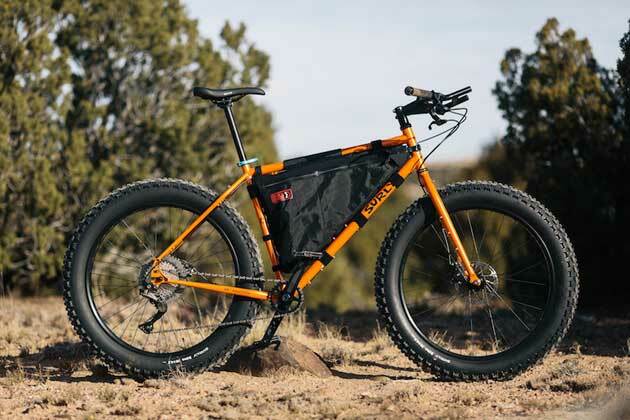 So, in this day of fat-specific hubs, race bikes, and global warming, is the Pugsley for you? Only you can answer that question. Similar to wool blankets, percolators, leather boots and wood handles on your camp axe, the Pugsley is classic, durable, and will stand the test of time. If you want the fastest bike with the newest technology, that’s cool but you probably aren’t a Pugsley person. If you want to get as far off the beaten path as possible and need a bike that will handle any terrain or situation that you can put underneath its wheels, then look no further than the Pugsley. Sometimes you just can’t do better than a cup of coffee from your percolator, over a fire split with your wood-handled axe, wrapped up in your wool blanket. Sometimes you just can’t do better than an offset rear end, huge tire clearance, steel tubes, and a tried and true classic. *Our own Pintz Guzzled and Sweet Beef will be tackling the Arrowhead 135 aboard Pugsley’s this week. If you see them out there, much like a bear in the woods, don’t engage! Well hello there, meet Ben, aka Slippers Cortez. Ben is one of the Engineers here at Surly. 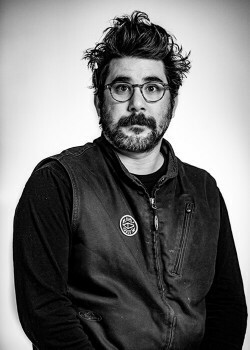 When Ben isn’t doing bike math and drawings, he’s likely enjoying a beer and playing the mandolin with his brothers in their folk/bluegrass band, The Thirsty River. If you don’t know what a mandolin is, there’s a google for that. If you meet Ben, you’ll notice that he’s the most Minnesotan person you know. We mean that in the best of ways of course. 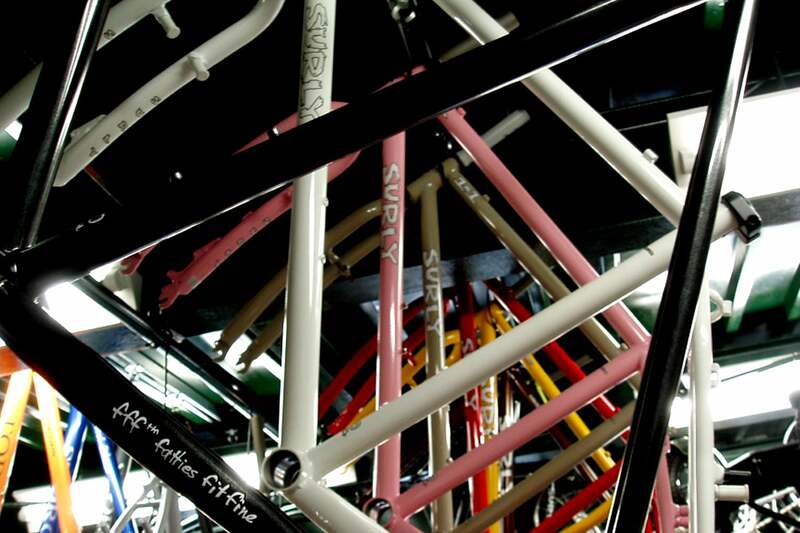 So the next time you're straddling your Surly, think of Ben, because he just might be thinking about you too.